This 3,350 sq. ft. education center is the first of many buildings to be constructed on the 10,000 acre Bechtel Reserve. 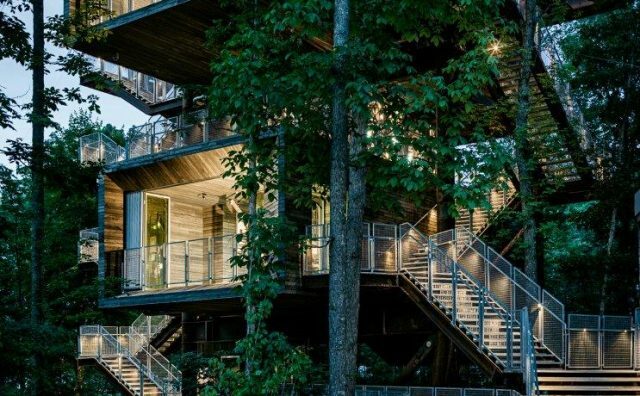 The 120 foot tall treehouse reaches high into the tree canopy with two levels of exhibits and roof decks, allowing visitors to experience the forest from a different perspective. Extensive daylighting design analysis using a physical model resulted in a building where daylight is the primary source. There is no need for electric light during the day. At night, surfaces are softly illuminated and low wattage LED exhibit lighting is integrated with the architecture. 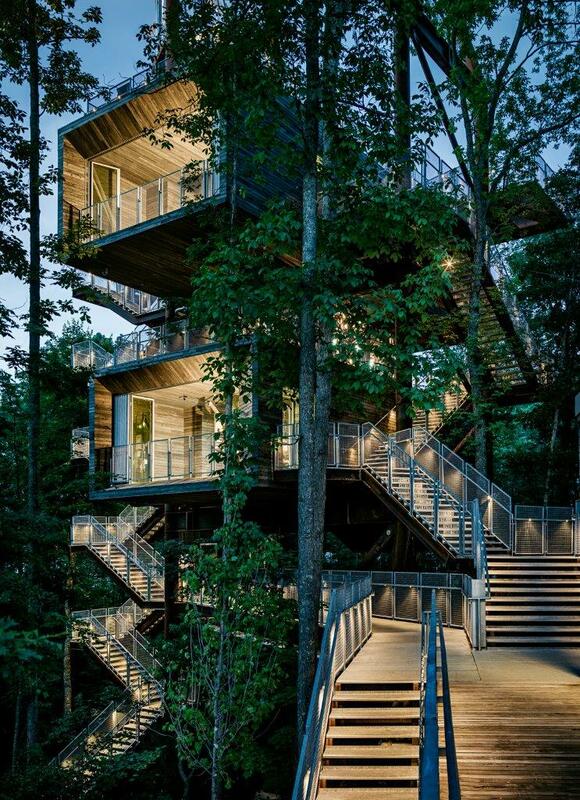 The design reinforces the low energy educational component of the Treehouse. 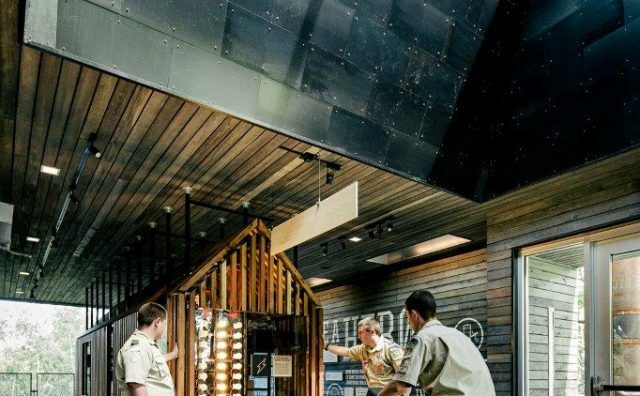 The elevated walkways are illuminated with an LED handrail system that was custom designed to achieve a low light level, low brightness solution. 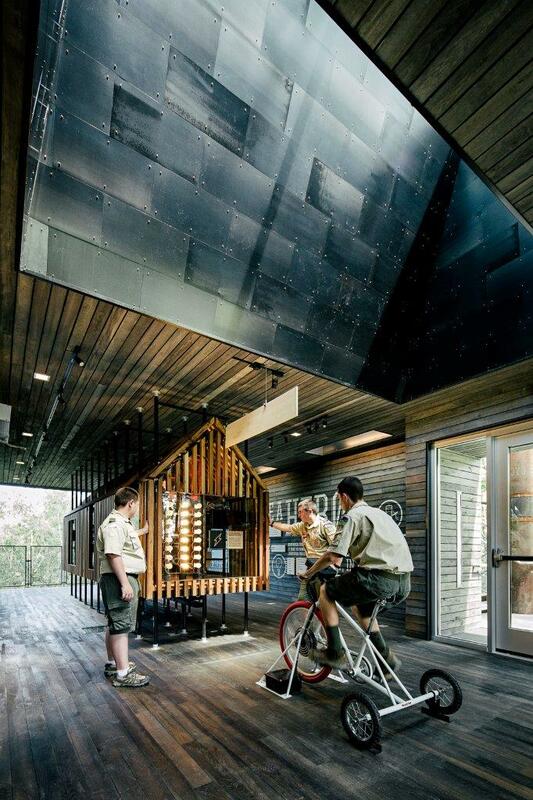 This allows visitors to experience the night time sky, while egress lighting needs are met.